The Quilted Turtle: Five Pounds of Sour Cream? Every fall, when the Island's hotels close, many donate leftover food to the school. Our cook is very good at menu planning with the random food items that appear, but sometimes she gets things she just can't use. Often it's the it items that have already been opened, or that will expire before she can get to them; those things she passes on to the staff and parents. This fall she got tons of sour cream - in five pound tubs. One of which, came home with me. 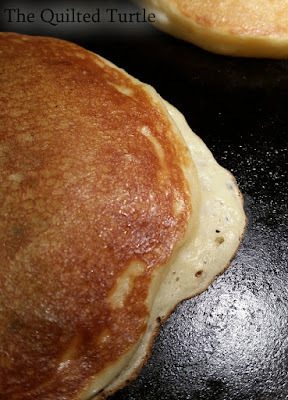 Luckily, I knew about this little gem of a recipe: Edna Mae's Sour Cream Pancakes - from the Pioneer Woman. The recipe seems off, but trust it - the measurements work. The pancakes are light and fluffy, and they're delicious. According to my daughter, they're the best pancakes in the whole world. If you make them for more than two people, you'll want to double the recipe. A double batch made the perfect amount for my family of four. I've seen that recipe and couldn't quite trust it. Good to know, now we will give it a go. Thanks! Hmmm, I saw the recipe too. I will try it as I need to wean my family off of the buttermilk pancakes! LOL Then again there is the wonderful sour cream roll cookie which uses a cup of sour cream. those freeze! How fun is it to get such great stuff? The kids must get some pretty eclectic meals. 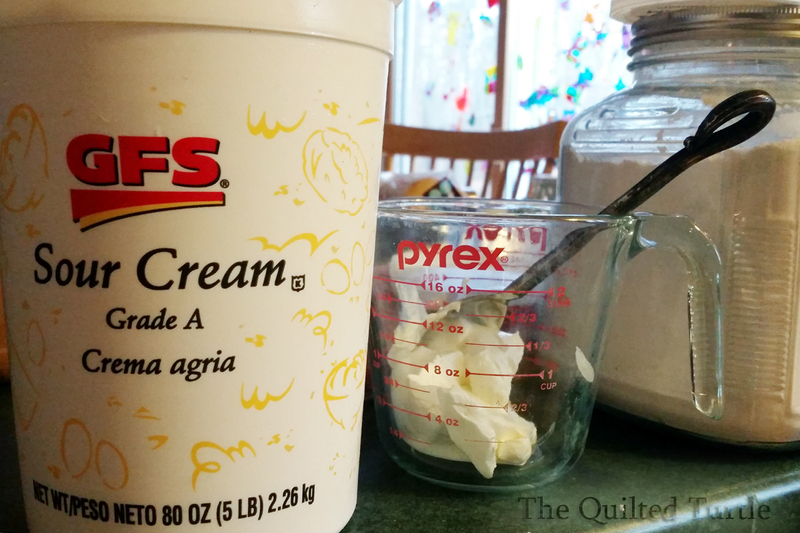 I got a quart of buttermilk from the cook last week! Do you have a good recipe?